Happiness is Egg Shaped loves to hear from people who have made a difference and shown the values of Rugby through their actions, often inspiring others. That’s what draws us to Scott Wight. 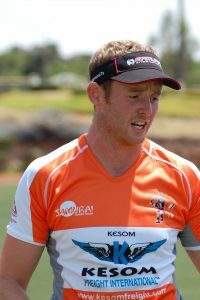 ‘Wighty’ is a former Melrose Captain, winning the Scottish Premier League, the Border League and two Melrose Sevens titles. 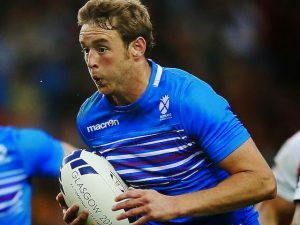 He then played as a professional for Glasgow Warriors for three seasons before signing a full time 7s contract with the Scottish Rugby Union. 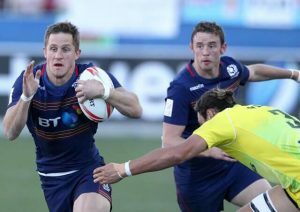 Scott made his international sevens debut in Las Vegas in 2014 and went on to represent Scotland in the Commonwealth Games and was a regular on the HSBC World Series. 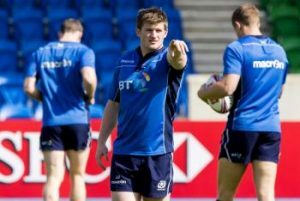 He was the captain and played an integral role in steering Scotland to their first ever World Series title at Twickenham in May 2016. Scott is highly regarded as a coach and holds a Level 3 UKCC coaching qualification. He’s spent time working as a development officer, was Melrose 1st XV specialist coach in the 2014/15 season and now plans to climb the coaching ladder with the goal of becoming a professional coach. 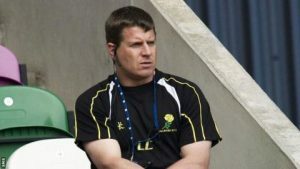 Scott was Scotland Womens coach in 2017 and this summer is the Head Coach for Samurai International Invitational 7s. 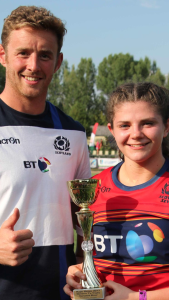 It’s 7s season in Scotland and the School of 7s Camps are coming up, what can players expect from their experience? Fun! This is at the heart of everything the coaching team delivers. Whether it’s a skill station, a team building element, a game or a challenging fitness section, each is planned to ensure the attendees take maximum enjoyment from it. Who will be on your coaching team this year? Any special guests paying a visit? Mark (Robertson, Team GB Silver Medalist and Scotland International) and I will be attending all the camps. The rest of the coaching team will be made up of professional rugby players or people that have a big involvement in rugby. We will try and get a special guest along to the last day of each camp to present the players that have excelled both on and off the field. You are born and raised in the Melrose School of 7s, what impact has the club and the people of Melrose RFC had on your success? Massively! When I was growing up, Melrose 7s was the best day of the year!!! You had that ambition from a young age to play at it, the players and clubs it has attracted in the past made you aspire to be them one day. I had a massive amount of drive from a young age to play on that stage and play professionally. Who or what has been your biggest influence on your rugby career? Craig Chalmers, I loved playing in the same position as him. He is a Melrose man and it gave all the youngsters the belief that you could play for Scotland. I think growing up we probably took it for granted with so many internationalists playing club rugby back in the day we didn’t realise how lucky we were. Then for him to move back to Scotland and coach the first XV meant there was a wealth of knowledge that I loved to learn from. I was captain and gained a lot by working under him. Although we didn’t agree all the time!!!! What was going through your head in THAT final at Twickenham as you prepared to kick off? I think the process started a long time before that. We had put a lot of hard work into the season and this was the last tournament. We really didn’t have anything to lose. No one expected us to be there in the first place, except ourselves. We knew we had a really strong squad and that we were capable of turning over South Africa. It was one of those days that we just never stopped believing in ourselves and didn’t give up till the final whistle. It was all about sticking to the script, no one going away from the game plan and performing your role to the best of your ability, outplaying your opposite man. On that day we delivered. Looking back, what are you most proud of? Looking forward, what are you most looking forward to? There are loads of special memories with lots of different people and meeting some friends for life. 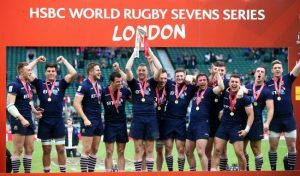 But for me it has to be Captaining my country to win our first ever World Rugby 7s tournament. I am most looking forward to growing the School of 7s and hopefully we can make a difference to kids. The game is gathering popularity, what teams or players get you off your seat when you are watching? The way Fiji play as a team, when the get it right, they get it right!! Perry Baker at the moment is a class above everyone. His ability to beat a man 1 v 1 is incredible, not only that his rugby ability is very good and still improving. His ability in the air to win the ball back at kick offs is unreal, he out jumps the lifting pod. Winning back your kick offs to retain the ball means you become very hard to beat, he is awesome at that. What tournament did you look forward to the most? Hong Kong. With the unbelievable history of it, but for me there isn’t really a bad leg. Being an International 7s player means a lot of travelling and a lot of down time, who kept the spirits high and made you laugh? We were really close as a squad so a lot of the time we did things together, if it wasn’t coffee it was monopoly or cards. Or there always was the A team or as the other boys called it “Last of the Summer Wine” me, Jimmy Johnstone and Jo Nayacavou! If you could have played for any other country at 7s, who would it have been and why? Fiji, the brand of rugby they play it would have been very good to be involved in the way they keep the ball alive. It’s all about fun and enjoyment. Most important is playing to space, whether that is through passing, kicking or running, there is always space on the field but it’s how quickly you can identify it. Explain how it felt to win at Twickenham, twice! First time was pretty surreal and an incredible day that I will never forget. But to do it back to back beating NZ then England in the final was really special. It’s hard to get words to describe it to be honest. I have a massive amount of pride but I also feel it was a privilege to play alongside my team mates that you train so hard with day in day out and win is special. Eggs – scrambled, poached or boiled? 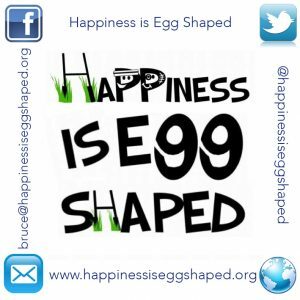 Is your Happiness is Egg Shaped?